Surfing along the coasts of the British Isles is far older than most people realize. It used to be that we thought of surfing in this part of the world as beginning in the 1960s. There is an element of truth in this belief as stand-up surfing did not really catch on in the British Isles until then. However, there had been stand-up surfers long before, as well as the far more numerous “surf bathers” who rode wooden body boards prone off the coasts of many resort areas. For images, my thanks to the Museum of British Surfing and Jeremy Oxenden. 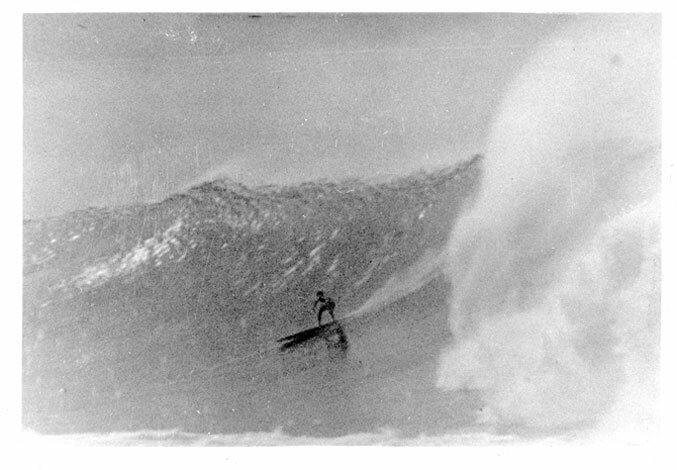 This chapter in the LEGENDARY SURFERS collection is available as an ebook for $2.99. To purchase, please go to: https://www.amazon.com/dp/B075FRGWZ8/. The advantages of the ebook are that it is portable, you don't need an internet connection to read it wherever you want to on a PC, tablet or phone. Additionally, it is shareable with friends and family for two weeks and the file is for yours to keep. 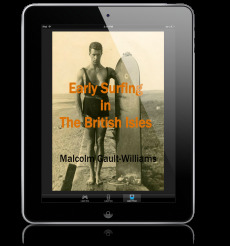 I hope you enjoy learning about the earliest days of prone and stand-up surfing in the British Isles! 1 Museum of British Surfing: http://www.museumofbritishsurfing.org.uk/. The 1904 date for Hobart Braddock has not been completely verified.